The fleet of Russia’s largest carrier Aeroflot exceeded 200 units in August 2017. As reported by the airline, it had 202 airframes as of 31 August 2017. The average fleet age stood at 4.2 years. Part of this growth came as Aeroflot put more airliners into service than it phased out. This past August, for example, the company took delivery of four Boeing 737-800s and one Airbus А321. At the same time, Aeroflot retired one A321 as part of its fleet renewal program. The carrier reportedly operated 16 Boeing 777s, 22 Airbus A320s, 30 Boeing 737-800s, 36 А321s, and 68 А320s as of 31 August 2017. Aeroflot’s website says it also has 30 Sukhoi Superjet 100 (SSJ100) regional jets. This runs counter to the information provided by the Federal Air Transport Agency (FATA), which says that the carrier had just 25 SSJ100s in August. In January through August 2017, the airline added 13 aircraft to its fleet. The carrier’s airliners accumulated 459,600 flight hours over the period, or 9.4% up year-on-year. The carrier increased its seat load factor by 1% to 82.6%. The combined fleet of Aeroflot Group, which also includes Rossiya Airlines, Pobeda Airlines, and Aurora Aurlines, stood at 300 airframes as of August 2017 (minus one Antonov An-24, which is being leased out, and six subleased Antonov An-148s). Aeroflot was the group’s only carrier that took delivery of new airliners in August. Between January and August 2017, Aeroflot Group added 15 aircraft to its combined fleet. Its four air carriers logged a combined 599,400 flight hours, up 10.9% on the same period last year. The combined seat load factor grew 1.5% to 83.4%. Aeroflot also reported its passenger traffic statistics for August 2017. Over that month, the airline carried 3.248 million passengers (up 15.6% percent year-on-year); over the first eight months of the year, the carrier served 21.794 million passengers. Aeroflot Group carried a total of 33.553m passengers in January-August 2017. 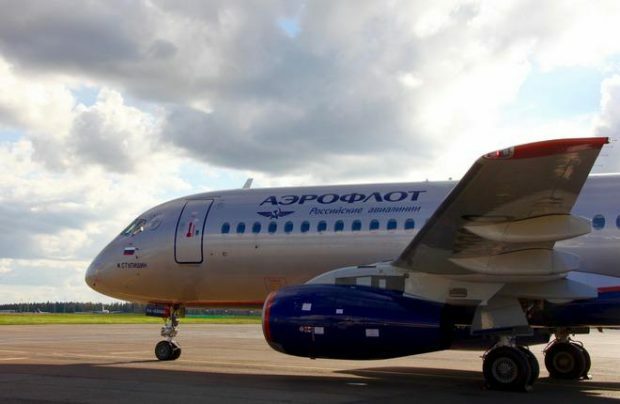 Aeroflot and the group in general saw their passenger numbers grow faster on overseas destinations, which is in line with the industry-wide trend.